This is the eighth issue of the regular newsletter of CyPhERS ("Cyber-Physical European Roadmap and Strategy") – a FP7-project funded by the EU, which aims at developing a European strategic research and innovation agenda for cyber-physical systems (CPS) to ensure Europe's competitiveness in this emerging field. New deliverable D5.2 "CPS: Significance, Challenges and Opportunities"
CyPhERS has published deliverable D5.2 “CPS: Significance, Challenges and Opportunities”. This deliverable provides a gap analysis of CPS for Europe as a basis for the final deliverable of the project. The gap analysis compares the vision of “possible future scenarios and capabilities” to “the current state in science and technology”. This deliverable extends D5.1 with a complete SWOT analysis and a further elaboration of the characterization of CPS, relating to concepts such as IoT, Big data, SoS, Mechatronics and Embedded systems. This and the past deliverables are available for download at http://cyphers.eu/project/deliverables. 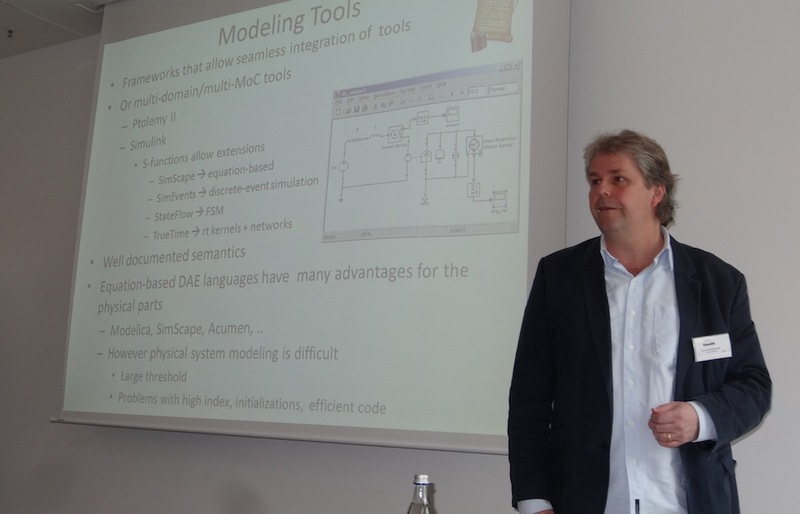 CyPhERS held its final European Experts Workshop on CPS, in Munich on February 23, 2015. Experts were invited to exchange vision and challenges on CPS, and to elaborate strategies to achieve the vision. The goal of the workshop was to evaluate the completeness of our research agenda and recommendations, understand the priorities, validate our SWOT analysis, and in general gather feedback to refine the recommendations. The outcome thus helps towards the shaping and definition of the project final results, the Integrated CPS Research and Innovation Agenda, encompassing technical as well as policy aspects of relevance for CPS. CyPhERS has released the English translation of the acatech STUDY “Living in a networked world. Integrated research agenda Cyber-Physical Systems (agendaCPS)”. The study was carried out under the auspices of acatech’s “Information and Communication Technology” topic network. Following on from the “Smart Objects” project, it addresses the mega-trend of the “Internet of Things” by investigating the opportunities and challenges associated with the technological trend of Cyber-Physical Systems. The report is available on the CyPhERS web site at http://cyphers.eu. If you are interested in collaborating with us you are invited to join our expert network. Please contact us at contact@cyphers.eu! 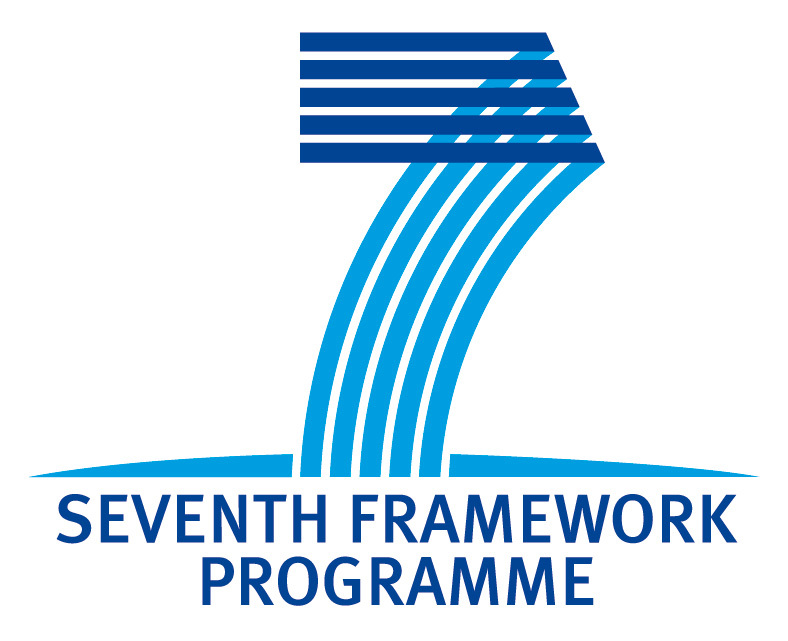 This is the seventh issue of the regular newsletter of CyPhERS ("Cyber-Physical European Roadmap and Strategy") – a FP7-project funded by the EU, which aims at developing a European strategic research and innovation agenda for cyber-physical systems (CPS) to ensure Europe's competitiveness in this emerging field. New project deliverable D4.2 "CPS Technologies"
CyPhERS has published a new project deliverable D4.2 “CPS Technologies”, an updated version of D4.1 “CPS Methods and Techniques”. This new report identifies the state of technology in some of the key application areas as well as the major challenges unique to application areas and/or the industrial sector. Concepts such as autonomous cars, robotic surgery, intelligent buildings, smart electric grid, smart manufacturing, and implanted medical devices are just some of the practical examples that emerged. These are not intended to be all-inclusive of the CPS challenges in the corresponding sectors, but representative of some of the major issues. Deliverables are available for download at http://cyphers.eu/project/deliverables. CyPhERS held its third European Experts’ Workshop in Stockholm on September 23, 2014. Impetus talks were given, and interactive discussions were held in a World Café that focused on the Market Model as well as on the domains addressed by the deliverable D4.2, on one side and, on the other, on economic impact and possibly overlooked aspects to consider. The insights will flow into the upcoming research agenda and recommendations for action to be delivered early next year. Four relevant CPS domains were analysed in the recent project deliverable D3.2 “Market and innovation potential of CPS”, recommendations for each of those domains were drafted. These recommendations are intended to identify actions to be taken at European level as part of the roadmap and strategy for CPS. CyPhERS solicits feedback on both the market model itself and the recommendations. Please fill in the questionnaire provided at http://cyphers.eu/project/D3.2.feedback. This is the sixth issue of the regular newsletter of CyPhERS ("Cyber-Physical European Roadmap and Strategy") – a FP7-project funded by the EU, which aims at developing a European strategic research and innovation agenda for cyber-physical systems (CPS) to ensure Europe's competitiveness in this emerging field. New project deliverable D3.2 "Market and innovation potential of CPS"
CyPhERS has published a new project document. The deliverable D3.2 "Market and innovation potential of CPS" revises and refines the Market Model presented in the earlier deliverable D3.1. The model is intended to evaluate the impact of CPS on various domains, and on the ecosystems that support those domains. D3.2 has simplified the market modelling approach, reducing it to three steps, which should make it simpler to apply. More significantly the approach has been extended to have a more explicit model of the economic impact of the CPS innovation on the ecosystem, and assessment of how disruptive that impact might be. The revised Market Model was applied to each of the four domains considered in D3.1, and further analysis was undertaken to assess whether or not the innovations considered were likely to be disruptive, or have a more incremental impact on the domain. The new deliverable D3.2 as well as past deliverables are available for download at http://cyphers.eu/project/deliverables. The analysis of four relevant CPS domains carried out in D3.2 was used to derive recommendations for each of those domains. These recommendations are intended to identify actions that could be taken at the European level as part of the roadmap and strategy for CPS. CyPhERS solicits feedback on both the Market Model itself and the recommendations. If you would like to express your opinion on this topic, you can provide your feedback online: please fill in the questionnaire provided at http://cyphers.eu/project/D3.2.feedback by September 23rd. CyPhERS is organising the third event in its series of European Experts Workshop in Stockholm on September 23rd, targeted at key representatives in the field of Cyber-Physical Systems. The purpose of the workshop is to present and discuss CyPhERS results so far, with specific emphasis on societal (non-technical) aspects of relevance for CPS, as well as discussing and eliciting feedback for the draft recommendations as part of the CPS agenda developed by CyPhERS. The workshop will follow the successful format of the first workshop held in Munich October 2013: the programme will consist of keynote presentations and interactive discussions in small groups à la World Café. This is the fifth issue of the regular newsletter of CyPhERS ("Cyber-Physical European Roadmap and Strategy") – a FP7-project funded by the EU, which aims at developing a European strategic research and innovation agenda for cyber-physical systems (CPS) to ensure Europe's competitiveness in this emerging field. CyPhERS has published deliverable D2.2 “Structuring of CPS Domain: characteristics, trends, challenges and opportunities associated with CPS”. This deliverable presents a refinement of the preliminary analysis reported in deliverable D1.1, and is based on the discussions and insights obtained chiefly from experts consultations. We discuss the characteristics, trends, challenges and opportunities from a scientific, economic and societal point of view. This is done along a number of dimensions that further help the systematic structuring of the CPS domain. This and the past deliverables are available for download at http://cyphers.eu/project/deliverables. 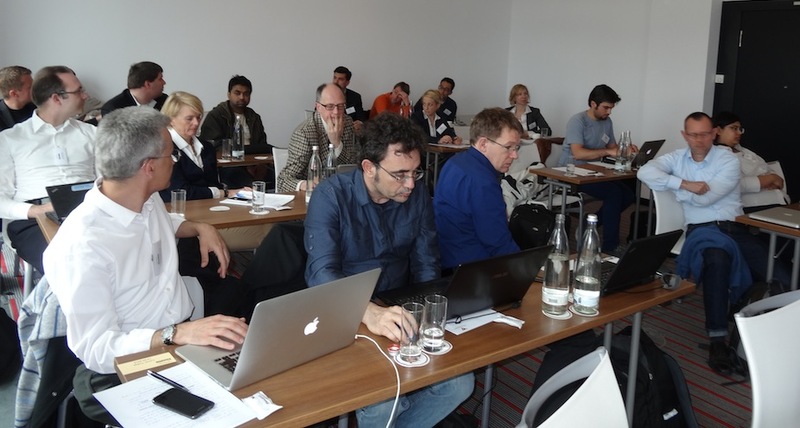 CyPhERS successfully held its second European Experts Workshop on CPS, in Berlin on April 14, 2014, as a satellite event of CPSWeek. Experts were invited to exchange vision and challenges on CPS, and to elaborate strategies to achieve the vision. The goal of the workshop was to gather insights regarding foundations, technology and methodologies for the design and production of large scale CPS. The program featured keynote lectures by Karl-Erik Årzén (Lund University), Alexandre Bayen (University of California at Berkeley), and Elena Fersman (Ericsson Research), and a number of contributed presentations on design flows, model-based development, research and strategic directions, transportation networks and platforms. A panel discussion concluded the program. The proceedings of the workshop can be found at http://cyphers.eu/cps20. One of the goals of the CyPhERS project is to provide to the European Commission a comprehensive set of recommendations regarding the implementation of the research and innovation agenda for CPS developed during the project. For this reason, we are soliciting suggestions for these recommendations from the experts, to be included for consideration. If you would like to contribute to this effort, we therefore ask that you send us your suggestions by July 31st, in the form that you deem most appropriate. This is the fourth issue of the regular newsletter of CyPhERS ("Cyber-Physical European Roadmap and Strategy") – a FP7-project funded by the EU, which aims at developing a European strategic research and innovation agenda for cyber-physical systems (CPS) to ensure Europe's competitiveness in this emerging field. to perform an initial assessment of Europe’s positioning in an international comparison, with respect to technology and research, market and society. This deliverable provides a baseline for the forthcoming comprehensive gap analysis to be performed between the vision of a “possible future” and the current state in science and technology. This deliverable therefore (1) develops an initial structuring of the area as a basis for the analysis, (2) compiles and structures existing surveys of the current state of the art, (3) performs an initial assessment of the state of the art in Europe vs. other relevant countries and regions, and (4) provides a discussion on how the gap analysis is to be performed. The gap itself in the forthcoming deliver-able D5.2, is defined as the distance between vision, to be provided as future scenarios in deliverable D2.2, and the State of the Art just produced. This and the past deliverables are available for download at http://cyphers.eu/project/deliverables. Goal of the workshop is to gather insights regarding foundations, technology and methodologies for the design and production of large scale CPS. CPS20 will feature five contributed presentations on various aspects of CPS, ranging from physical aspects and role of models in CPS engineering, to design flow and platforms. Furthermore, CPS visions and challenges will be highlighted in invited keynote lectures by Karl-Erik Årzén (Lund University), Alexandre Bayen (University of California at Berkeley), and Elena Fersman (Ericsson Research). The workshop program can be found at http://cyphers.eu/cps20. To register for the workshop please visit https://www.cpsweek2014.org/cpsweek2014/reg.html. This is the third issue of the regular newsletter of CyPhERS ("Cyber-Physical European Roadmap and Strategy") – a FP7-project funded by the EU, which aims at developing a European strategic research and innovation agenda for cyber-physical systems (CPS) to ensure Europe's competitiveness in this emerging field. CyPhERS has recently published two project deliverables. “Structured CPS market model” presents a novel market model for Cyber Physical Systems (CPS) and provides a number of examples of the use of the model in analysing the potential impact of CPS, particularly in shaping the market in different domains. A key part of this model is a four-layer “domain architecture”, which enables the relationship of innovation and constraints at the levels of technology, information, business process and social process to be explored. “CPS Methods and Techniques” identifies and structures the relevant methods and techniques that are currently available or already foreseeable. These are systematically identified and structured according to different perspectives. The deliverables are available for download from our project website at http://cyphers.eu/project/deliverables. Representatives from academia, industry and policy making are explicitly invited to submit enlightening position papers. Deadline for submissions: February 21st, 2014. The Call for Papers can be found online at http://cyphers.eu/cps20. This is the second issue of the regular newsletter of CyPhERS ("Cyber-Physical European Roadmap and Strategy") – a FP7-project funded by the EU, which aims at developing a European strategic research and innovation agenda for cyber-physical systems (CPS) to ensure Europe's competitiveness in this emerging field. CyPhERS has published its first project deliverable “Characteristics, capabilities, potential applications of Cyber-Physical Systems: a preliminary analysis”. It presents an initial framing of the CPS domain based on existing surveys and refined by virtue of the discussions and insights obtained with the help of experts in the field. In particular, this document summarizes the results of the First European Experts Workshop organised by CyPhERS in October 2013. As a basis for a subsequent systematic assessment of the CPS domain, we discuss: technical characterisation, vision and value added, impact, trends and challenges, and economic ecosystems. Following CyPhERS’ iterative approach, the document will be further refined and extended during the course of the project towards a coherent structuring of the CPS domain. The deliverable is available for download from our project website at http://cyphers.eu/project/deliverables. Representatives from academia, industry and policy making are explicitly invited to submit enlightening position papers. Deadline for submissions is January 31st, 2014. This is the first issue of the regular newsletter of CyPhERS – a FP7-project funded by the EU. CyPhERS ("Cyber-Physical European Roadmap and Strategy") aims at combining and expanding Europe's competence in embedded and mobile computing and in control of networked embedded systems. The main objective of the project is to develop a European strategic research and innovation agenda for cyber-physical systems (CPS) to ensure Europe's competitiveness in this emerging field. CyPhERS successfully held its first European Experts Workshop in Munich on October 14–15, 2013. This two-day event was targeted at industrial and research key representatives in the field of CPS with the goal of identifying the grand challenges posed by Cyber-Physical Systems and their associated cause and impact. Top-level researchers and strategists from leading companies came together and provided their visions on possible and desirable evolution of the field, and exchanged views and insights on the state of the art in science and technology. Altogether, 26 people from 8 European countries participated, representing a broad range of relevant CPS domains such as automation, healthcare, telecommunication, or avionics, to name but a few. The workshop programme consisted for one part in keynote presentations that highlighted both the policy aspects on the EU level and described related road-mapping experiences from Germany and Sweden, and presented insights from an industrial view to the new challenges that CPS present in certain domains. Interactive group work sessions formed the other major part of the workshop. At four tables, arranged in a “world café” setting and each headlined with a specific theme, the workshop participants brainstormed and discussed topics ranging from the CPS vision & new opportunities, its added value and impact, and challenges in engineering, to acceptance issues and questions regarding economic ecosystems. The outcomes of these discussions will now provide valuable input and guidance for the further work within the CyPhERS project. If you are interested in attending future project events and collaborating with us you are invited to join our expert network. Please contact us at contact@cyphers.eu!